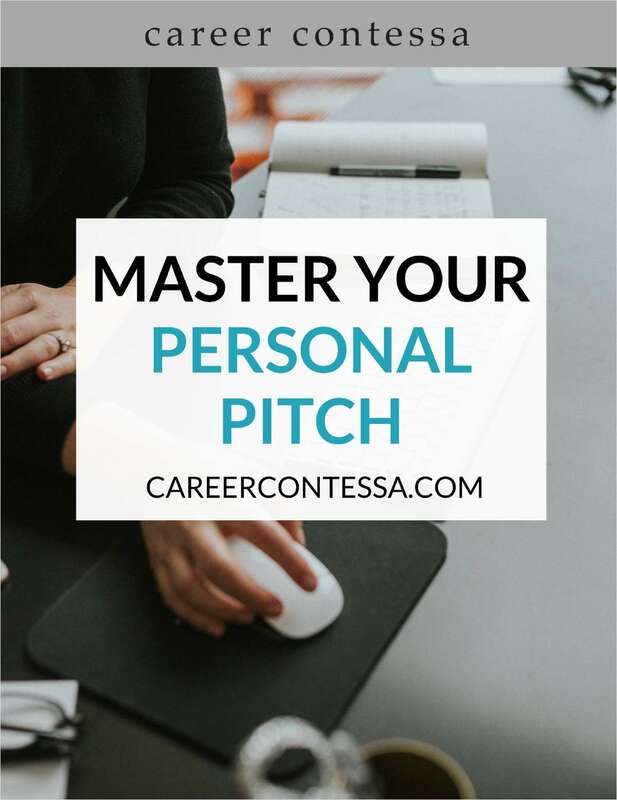 Free Tips and Tricks Guide: "Master Your Personal Pitch"
You've got 60 seconds or less. Do you know how to explain who you are, what you do, and where you want to go? By submitting this content request, I have legitimate interest in the content and agree that Career Contessa, their partners, and the creators of any other content I have selected may contact me regarding news, products, and services that may be of interest to me. By downloading this PDF you are also subscribing to Career Contessa, a career site for women, and our e-newsletter for a weekly dose of career advice in your inbox.